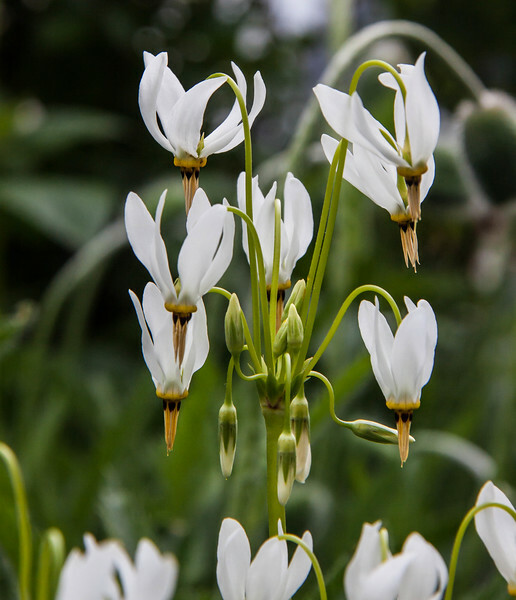 Dodecatheon meadia is a member of the primrose family. It is a perennial in my coastal Maine gardens and blooms in May. It is commonly called Shooting Star, Mad Violets, Mosquito bills or Sailor's Caps. For a list of protected and endangered wildflowers in Maine see http://plants.usda.gov/java/threat Wildflowers should be left undisturbed where they are found. To uproot and attempt to transplant them puts the species at risk. Wildflowers are dependent on very specific soil, water and light requirements which a home gardener can rarely reproduce.